- A little twist on visiting all the huts in one day, doing them all individually from their respective trailheads! 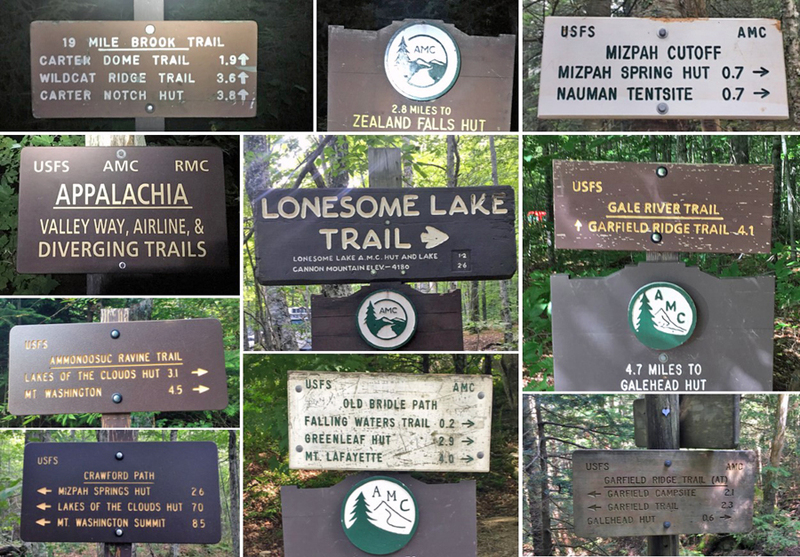 - Starting at midnight, I left 19 Mile Brook Trail and beat feet up to Carter Notch Hut and back down in the cool temps, passing one other hiker attempting the standard H2H. Once back down I drove 13.5 miles over to Appalachia. As I started up Valley Way the temps continued to fall making for great night hiking on the way to Madison Spring Hut. On the descent I started seeing hikers around 4:30AM, in fact I'd see about two dozen over the last mile, yowzers! - Leaving Appalachia, I drove 24.6 miles to the Zealand trailhead and trail ran back and forth to Zealand Falls Hut. During the ascent I was happy to ditch the headlamp making things much easier. The trail was very quiet as I only saw a few hikers near the end of my run. - Next up was a 9.9 mile drive to the Highland Center for a quick up and down to Mizpah Spring Hut. On the descent I started seeing quite few hikers, I was happy to get out of Crwaford Notch before the conga line formed! - From the notch I made the quick 9.6 mile drive up Base Station Road to the Ammo trailhead. I made relatively quick work up to Lakes of the Clouds, mainly because there were a lot of goofers on the trail. Usually I say hi to everyone, but this was head down and get out of dodge time on the descent. - The morning portion of the rally was over as the clock struck noon during my 17 mile drive to Gale River trailhead. The hike up to Galehead was not that exciting but the trails were basically empty until closing in on the hut, which had no baked goods, a major disappointment! I ran back down from the hut making it to the Jeep just before 3PM. - The hike up to Greenleaf Hut was a rough one, not that I was too tired but as I was going up a hundred plus hikers were coming down, what a zoo! I reached the hut just before 4:30PM, it was a madhouse inside so I just turned around, forgetting to sign the guest book. I was dreading the run down but luckily it was only congested during the first mile followed by several good gaps for running down low aided by taking the hut croo shortcut. Stats: 17 hours 56 minutes total time / 14 hours 40 minutes hiking / 3 hours 16 minutes driving and gearing up / 90 miles driven between trailheads / 140 miles driven door to door. I nabbed the best spot in Lafayette Place, right at my finish line! !